But in true professional fashion, she still went ahead and did it. Go Glight! Posted on September 20, 2014 by Adamu Waziri and filed under Fun Stuff, work in progress. 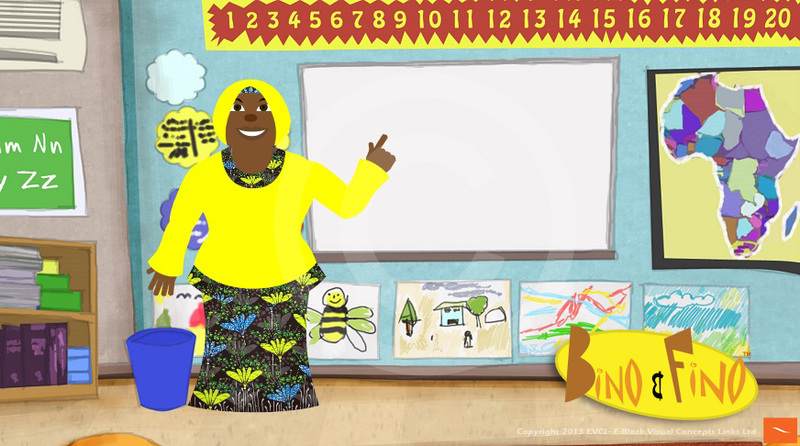 Meet Bino and Fino's Teacher! Meet Bino and Fino's teacher. We don't have a name for her yet. She's going to help them find out about the world. Posted on August 16, 2013 by Adamu Waziri and filed under work in progress and tagged african cartoon characters. Finally here it is! The 1st screen test from the new season of Bino and Fino. Work on the new episodes of Bino and Fino is progressing well. Unfortunately with animation, it takes a while before you can have something to show. This clip shows their new living room. Posted on May 10, 2013 by Adamu Waziri and filed under work in progress and tagged african cartoon characters. Posted on April 10, 2013 by Adamu Waziri and filed under work in progress and tagged African children's shows african cartoon characters.